I think the article was wrong in that Lagavulin pricing. It is $65+ for that bottle. I have the Oban which created a complete set and lucked into some steal pricing on four of the 8 set bottles so I started another budget minded set. Originally I picked up two sets of 7 and I sold one to a "friend". Right now the secondary market for the GoT is soft to nonexistent. Soon people will start dumping their purchases for cost as some already are. What they aren't thinking about is in April interest in the set will revive and the market will scramble to find them unless Diageo has more to release. Oban is currently the only hot ticket since it is so hard to find. On another note I was in MA and went to a store there. I did not want to leave empty handed so I snagged a Four Roses Small Batch for less than $25. In our stores they are $33+tx. At $35+ it's a bit boring, but at $25 it's fantastic. Amazing how that happens. So I just got the set of 8 from my local bottle shop. They just got one complete set and a few individual bottles. I'd told him earlier I wanted the whole set and he just called me this morning. I picked it up this afternoon with the following pricing - total $425. I'm going to use the set to host an intro single malt tasting. Probably won't do it until Spring when the new season starts. So my question is ...... what order would you present them, and why? Also, the set gives a fairly broad style intro, but what other distilleries would be good to add to the mix to present a more complete selection? While regions & geography aren't the best way to look at single malts, certainly the selection is heavy on Highlands/Speyside. Lacking Lowlands, and Campbelltown. Maybe Auchenstoshen, Springbank, possibly Highland Park, others? I've been debating how to open them and have pretty much settled on by price for the first seven and finishing up with the Oban. No particular reason, just couldn't come up with anything better. Best I can tell the Oban is the most difficult to find followed by Talisker, Clynelish, and Lochnager. I didn't want to search all over the country for the Oban so I paid low end secondary prices for my two bottles one of which arrives next week. Opened an Orange Top Old Grand-Dad Bottled In Bond from 2006 last night. It is magnificent! I really enjoy the Taylor small batch. Oaky. Vanilla. Good stuff. OGD 114 is maybe not my thing. I had two glasses when I opened it and it gave me a wicked headache. It's spicy and there's something in the finish I don't care for. Definitely better as the cubes melt, though even at 114 it is not too hot. The flavors seem to open with the melting cube. Got a bottle of Maker's for $20. At that price its outstanding! Oban is nice, great blend of the peat and more mellow flavors. For straight Islay I most recently got a few different Laphroaig single casks that I loved. Tonight though has been bourbon, thanks to holiday season excess. 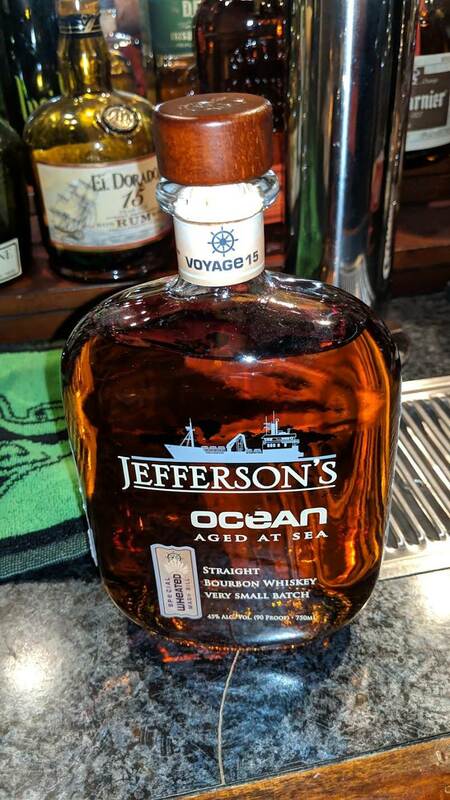 Had some Jefferson Reserve at a friend's house but at home I think I like Russel's Reserve 10 or even Elijah Craig (no age specified anymore) better in the same price range. If I'm going to spend a bit more I always like Blanton's or Willet. FWIW The Oban Bay Reserve GoT was specifically released for the GoT set. I'm not a fan of smoky Scotches and even knowing they aren't all like that it does make me a bit gun shy about trying any of them. I must just be super sensitive to that phenol/aroma since usually if someone opens a bottle I can smell it across the room. That said, over the holidays on the East coast I got to try a Scotch at my best friends house that was quite nice and not at all smoky. Glenlivet 15 year was incredibly smooth and fruity. There were several other beverages that night so I don't remember exact flavor notes, but I smelled it first, discovered it to not be smoke heavy and then when I tasted it I was impressed. Also, recently at a party with friends in the sharing mood got to try a really nice Irish Whiskey, Redbreast 12. Looking at the prices here in Oregon it's more than the Bushmills 10 but less than the Bushmills 16, still a bit rich for my blood at 56$, so it's nice to have generous friends! I'm too lazy to get up and check but I think the redbreast 12 is barrel strength. Something like 57% or higher. Imo all redbreast is good. Lately I've been drinking Green Spot when I go Irish. I have a bottle o Yellow spot to pay off a bet. At $99 it's not something I'm stocking but I hope to enjoy it when I deliver the pay off. This is delicious. A little pricey but not a gimmick as far as I'm concerned. I know bourbon is popular right now but what's up with classics like Blantons? I can't find it anywhere. Blanton's has become the go to for most people searching higher end Bourbon. IMO it's worth $50, but not the extra 10 spot before tax we have. Of course I had to finish my horse race lineup so I paid the price of admission. I forget which of the Jefferson Ocean I liked. I just find Jefferson variants price point to be a little higher than they should be so I leave them on the shelf. 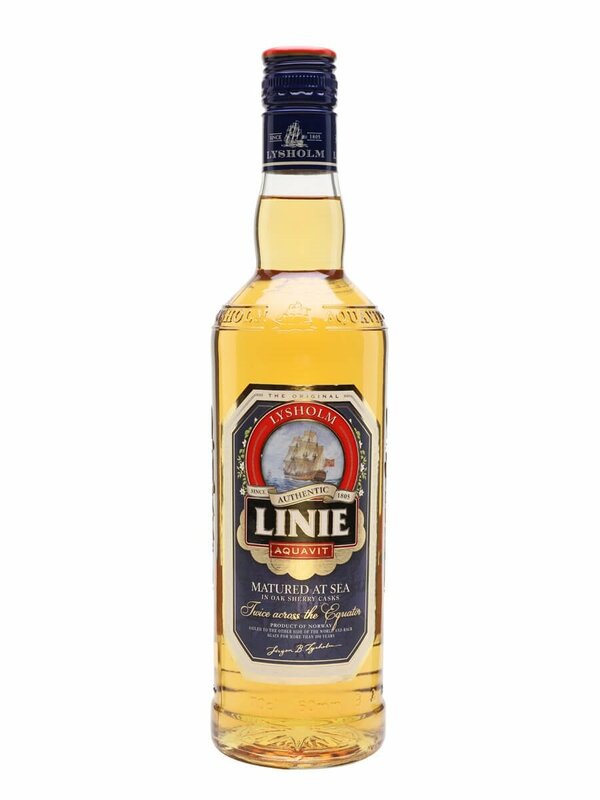 Sounds like it works a little bit better than Linie. A rough akva vit. I like North Shore Distillery. Any recommendations for a scotch in the ~$30 range? I've enjoyed Deanston 12, looking for something thats a bit of a step up from Famous Grouse. $30 is not a good range for single malt scotch. I really like Monkey Shoulder which is a blend and typically rolls in at $30-35. I agree that in general the Jefferson's aren't worth the price point for me. This isn't going to be a regular but I'm glad I bought it. Picked up the Knob Creek single barrel 120 proof for $40 this week. Good stuff.